Contemplating the frustration of having limitations with my mash tun, it occurred to me that I really don't need to make 5 gallons every time I brew (what I really want is 10). 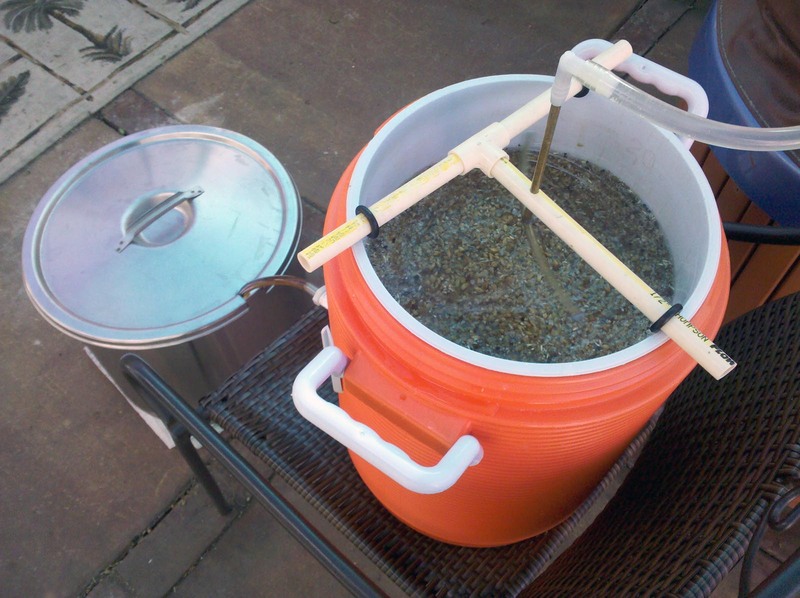 I decided to give a try making a 4 gallon batch with a reasonable capacity of about 13.5 pounds. A grain bill that size is easy enough to manage (stirring without spilling all over the place) but is about a pound or so too big for a multi-infusion mash. I'll opt for a single-infusion to see what's possible with a lower final yield. Turns out that I'm just within the Doppelbock range of starting gravities (1.072-1.112) with this brew. I figured that if I missed the mark, I would still have a Traditional Bock. 13.5 lbs. 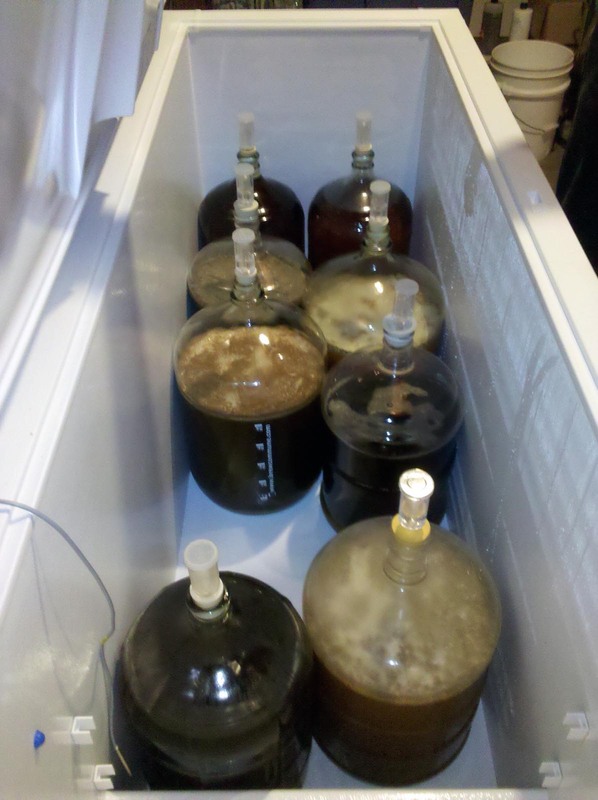 of grain in a 5-gallon Rubbermaid cooler is easy to work with. After adding today's batch, looks like plenty of room for 2 more primaries. 1 oz. Tettnanger 60 min. 0.5 oz. Spalt 20 min.